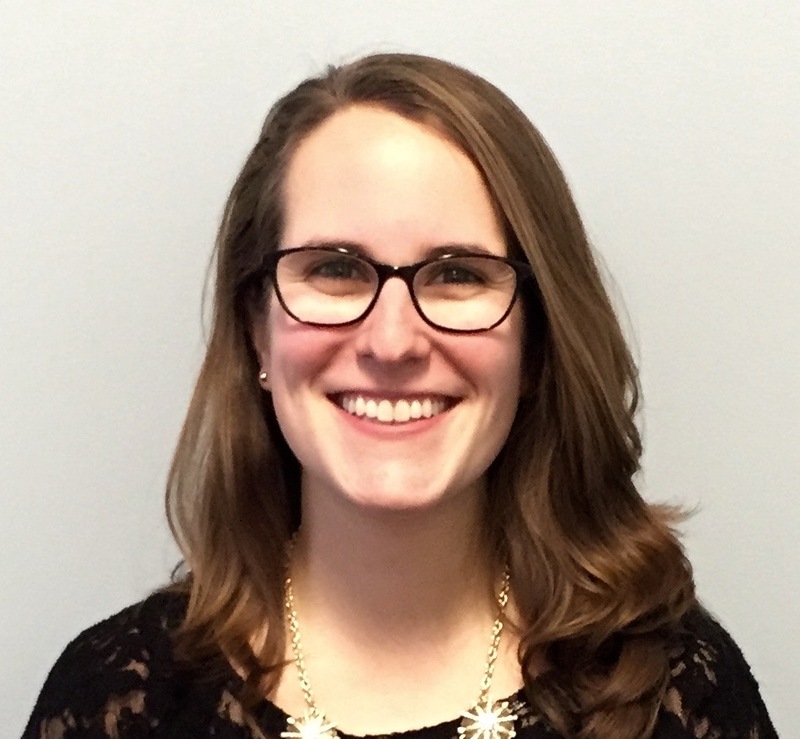 Jennifer Simoneau is a Library Media Specialist at Ponaganset Middle School in Glocester, RI. When you enter Ponaganset Middle School, the large glass windows of the library beckon you across the lobby. 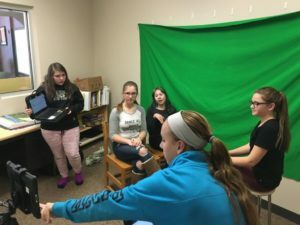 Beyond the typical circulation desk and bookshelves, there’s a new makerspace in the works, complete with green screen and tripod, as well as a line of students eager to get troubleshooting advice as they build their creations. At the center of the activity, you’ll find Jen Simoneau, an intrepid educator who has worn many hats in her role as Library Media Specialist. From tech support to professional development facilitator, Jen is a go-to resource for many teachers in the building and throughout the district. 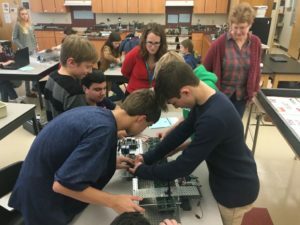 This year, as the middle school works to support the growth of lighthouse classrooms, Jen notes that teachers are really starting to make changes in their practice to embrace blended learning. When we met with Jen in early January, she was just about to launch a “Tinker Tuesdays” series at the school in collaboration with the computer teacher. Each week, students are invited to the library to experiment with tech tools and coding programs. In 2017 so far, students have explored littleBits electronics, Stop Motion Pro, and DoInk Animation, with plans to try out LED origami in the near future. Jen also continues to push her own development as an educator by participating as a Media Smart Libraries cohort member. With all of these exciting initiatives on her plate, it’s no wonder she was our choice for the Fuse RI Igniter Award in 2015! According to Jen, the traditional public school setting sometimes requires a creative mindset when it comes to blended learning. 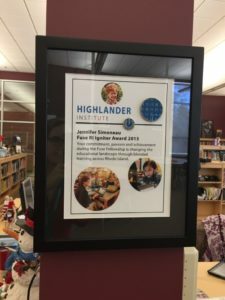 She shared that digital tools, internet access, and the flipped classroom model have really helped make “learning in any place” a reality for Ponaganset middle schoolers. However, time and pace can still be tough. 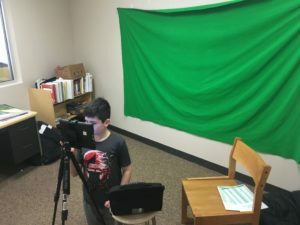 For example, sometimes she’ll be working with a highly engaged small group of students in the library on a performance task like a green screen video. Then the bell rings and students have to wrap up and move to their next class regardless of the status of their work product. Trends like these reinforce that “historical structures of public school will be slower to evolve” to complement innovative teaching practices. 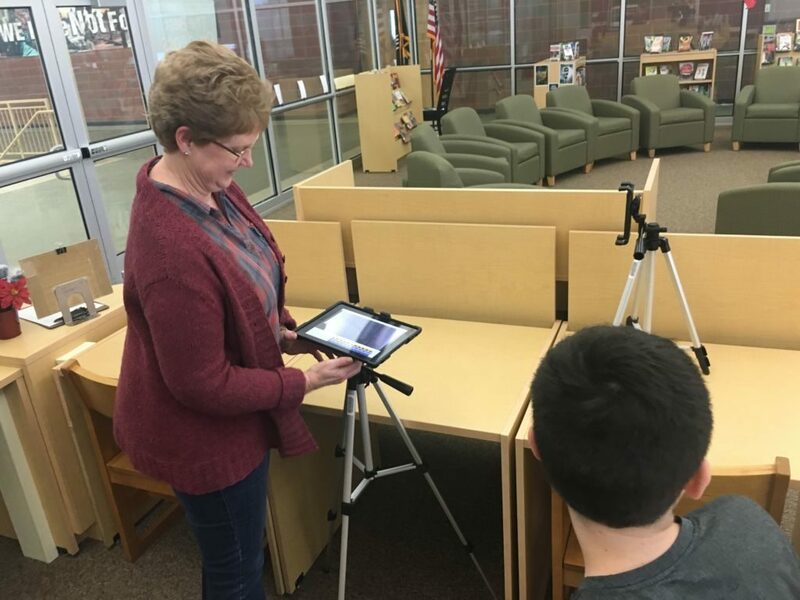 However, for Jen, the support of her principal Ms. Marcotte and assistant principal Mr. Porrazzo, as well as the growth mindsets amongst teachers she works with are early signs that her guidance on blended learning is having an impact. Her main goal is to be leveraged as a thought partner to bridge research, content, and great teaching practices. For more information about Jen, follow her on Twitter @chieftainsread and check out her Fuse Fellow profile.